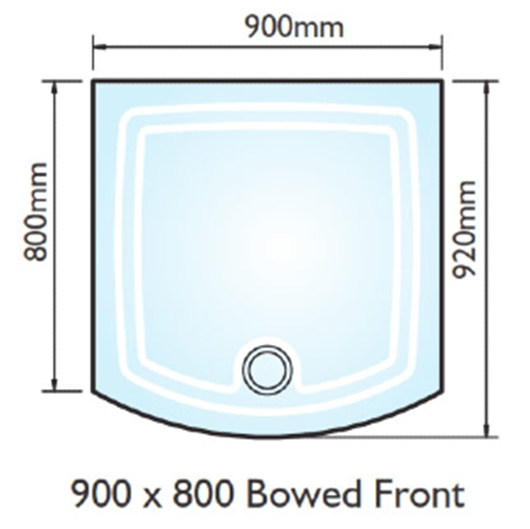 Kudos Concept 2 900x800 bow fronted shower tray. White finish. Acrylic capped stone resin. Optional plinth.